Pets come into our lives and touch our hearts. Sometimes they change us forever. For Sybil Miller, that pet was Boris – a Bernese mountain dog who would have continued to swelter under Florida’s sun if Sybil hadn’t flown from Colorado to rescue him. 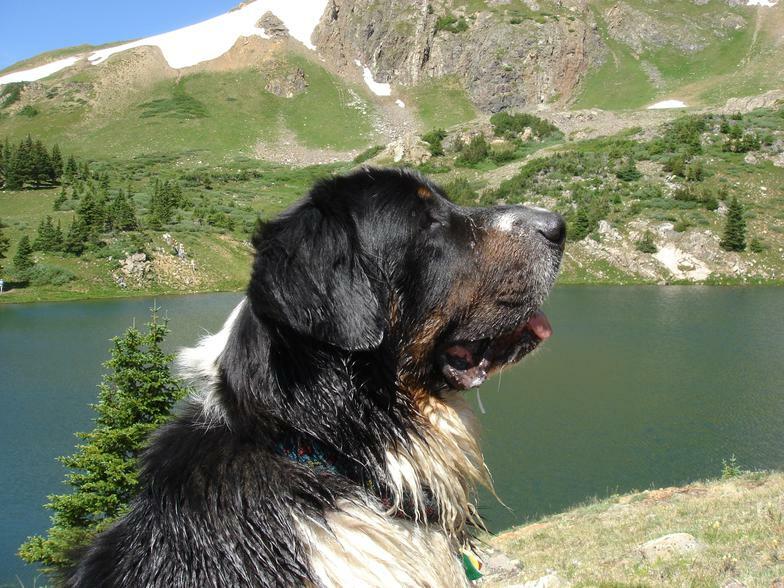 Sybil had been looking for a Bernese but couldn’t find one in a Colorado shelter; the breed was so popular there, no one had one available. When she contacted the Florida shelter, they were thrilled that Boris had finally found a loving home and could be the mountain dog he was meant to be. The experience taught Sybil that certain dogs that are in high demand in Colorado mountain communities, such as Labradors, Newfoundlands, Huskies, and Heelers are often considered unadoptable in other states. With the help of a group of dedicated volunteers, Sybil decided to start a local rescue dedicated to finding homes for these types of dogs. And so Mountain Pet Rescue was born. We are a foster-based rescue in Grand County, CO that focuses on rescuing active, energetic “mountain” dogs by working with overcrowded shelters in and outside of Colorado. Our Board of Directors strives to match each dog with its perfect home by assessing its temperament, evaluating the potential foster and adoption home, and following up with the pet owner to ensure a healthy and enjoyable relationship. We look forward to helping you find the perfect family member to join your loving home! We strive to find foster care and forever homes for dogs in need. We collaborate with other animal welfare organizations to help find good homes for pets in need – no matter where the pet is located or what organization it is with. We support our volunteers by showing them the respect, professionalism and responsiveness that they deserve, so that they find volunteering with Mountain Pet Rescue to be a valuable, rewarding, and enjoyable experience. We provide basic education and training to the general public and to those who foster and/or adopt, so that our pets receive proper care in their new homes and lessen the need for rescue. Education and training topics include basic behavioral skills for pets and their owners, basic first aid and the importance of spay and neutering. We have developed a system that is informative, timely and organized. We routinely track pet status’, communicate with the public and volunteers, and respond to questions and/or concerns within 24 hours to ensure a successful experience in pet ownership, education and fostering.